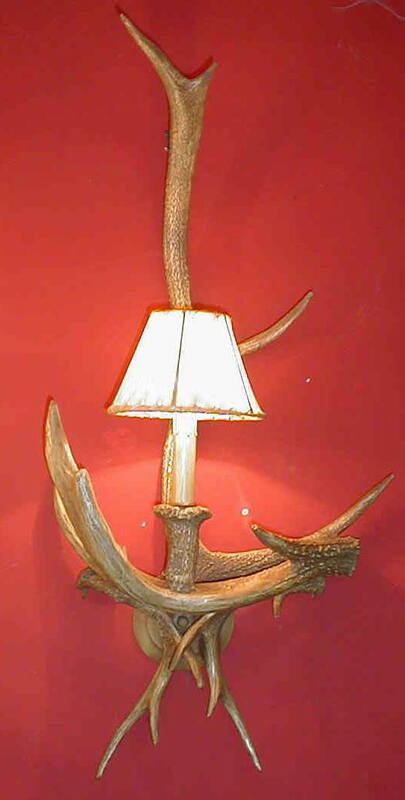 Description: Faux antler sconce with one light. Shade included. Made of hand painted resin.